The Children's Museum of Sonoma County has partnered with the Sonoma County Libraries to bring hands-on science, engineering, exploration, and play to your neighborhood library! Pop-up Play is a building, engineering, and play program for children of all ages We would be creating the space by bringing in LOTS of loose parts (appliance boxes, fabric, various cardboard, tape, scissors, ties, etc.) Basically, it becomes a large fort building opportunity for all ages and stages. Tinker Thinkers - Libraries is a new science and engineering program sponsored by the Children's Museum of Sonoma County! We currently offer three separate programs for library visits, each geared towards children 5 - 12 years old. Each Tinker Thinkers program begins with a short demonstration of a scientific concept led by Museum staff, followed by hands-on exploration, experimentation, and play for library visitors. Matter: What is matter? Is it a solid? Liquid? Gas? You'll find out by playing with some exciting sensory materials, gases, solids, and liquids. Electricity & Magnetism: Explore electricity, and how it works, while using magnets and circuits. Build your own circuits to make light, noise and motion! Forces & Motion: Let’s find out more about the pushes and pulls that make things go. In this program, children and families learn more about basic physics concepts like friction, gravity, and Newton’s First Law. Waves: Explore hands-on exhibits that allow you to see, hear, feel, and understand waves and how they are made. All information about the Tinker Thinkers - Library programs, including the program schedule, can be found at the Sonoma County Library WEBSITE. Please reach out directly to the hosting library for specific questions about Tinker Thinkers programming. If you would like your neighborhood library to host a Tinker Thinkers - Libraries program, please reach out to them directly to request it. 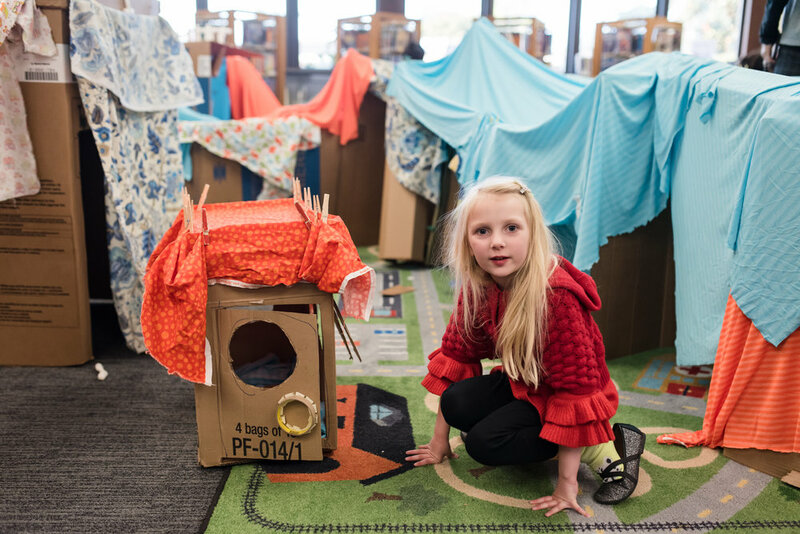 If you're a library and want to book a Tinker Thinkers - Libraries program, please email schoolprograms@cmosc.org to schedule.